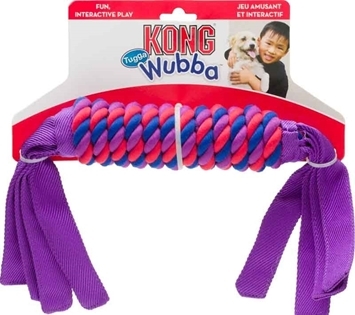 Dogs love tugging with plush toys, but they never hold up to it for long... until now! 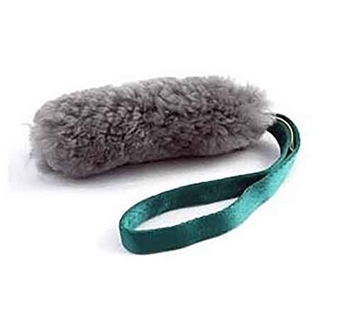 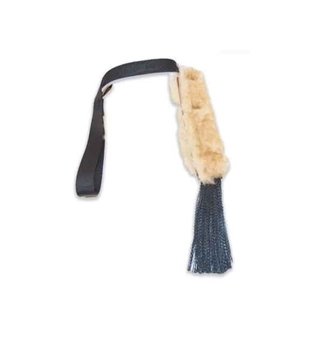 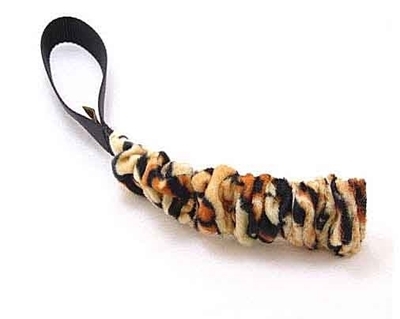 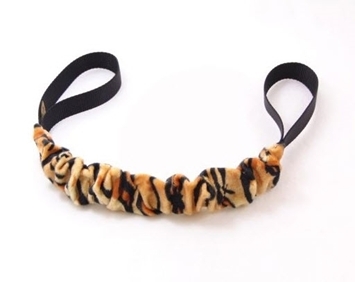 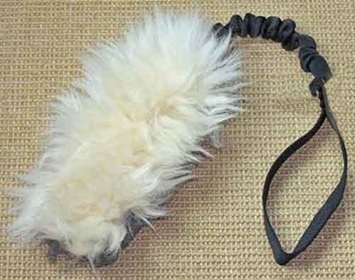 The Tiger Tug is a dog tug toy made with soft faux fur and a strong nylon handle. 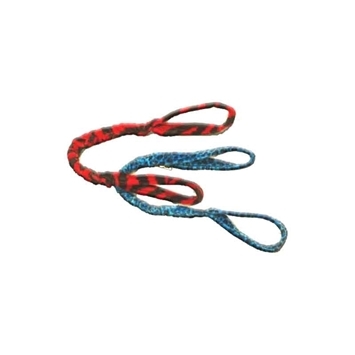 The nylon webbing runs all the way through the toy for added strength and durability. 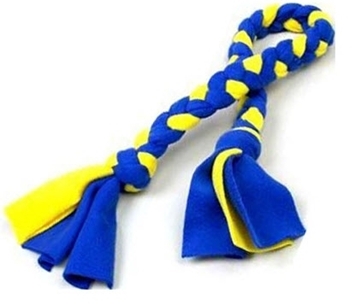 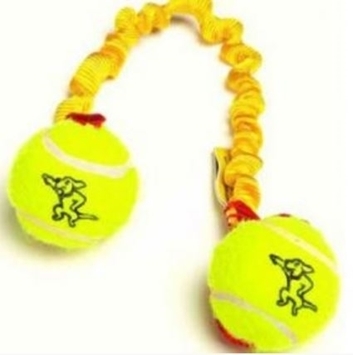 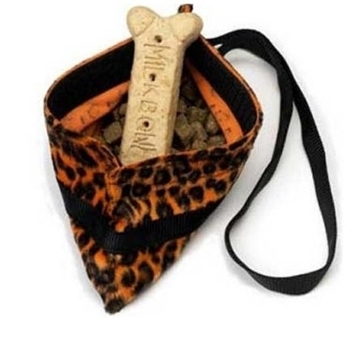 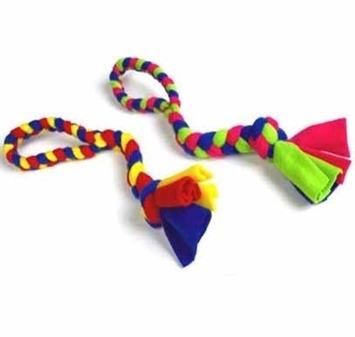 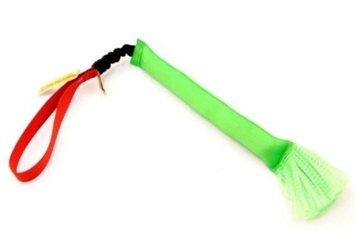 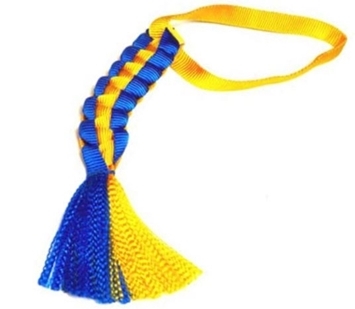 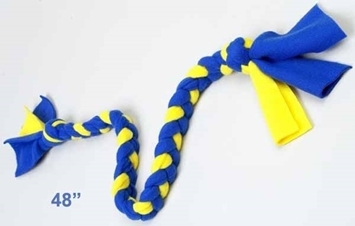 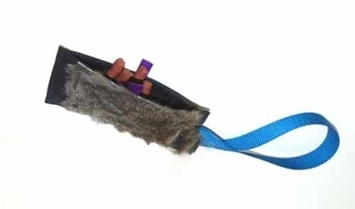 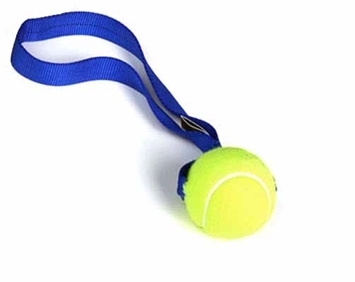 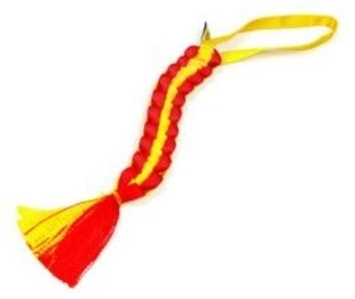 The one-handled dog tug toy is about 14" long and can easily fit into your pocket. 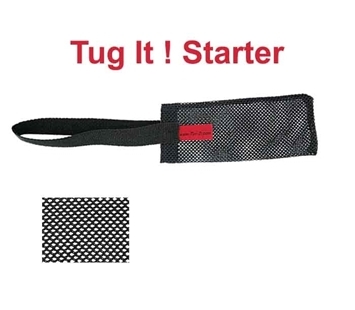 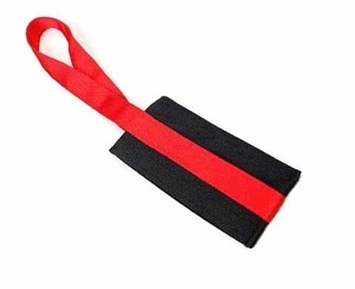 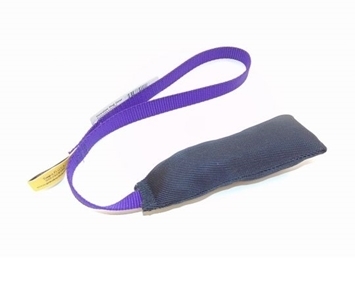 The Tiger Tug is great for dog agility training and teaching your dog to tug. 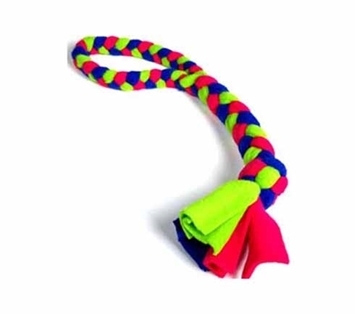 This dog tug toy is machine washable.